Having said that, when you visit Allan Garden's in Toronto for their annual Christmas Flower show (or any time of the year you decide to visit, really), you can't help to indulge your inner botanist and attempt at some shots of pretty flowers, leaves, and bugs. I haven't owned a dedicated macro lens since I sold my Olympus 60mm f2.8 a few years ago. That one was a killer lens, but I ended using it mostly for portraits. It was great at that—but it just wasn't bright enough for low-light use, and the focal length was too awkward for events and performances, which is what I really shot at that time. All photos in the gallery at the bottom were taken with the Olympus E-PL7 and the Panasonic 42.5mm f1.7 lens, coupled with the VF-4 viewfinder from Olympus. But can we talk about this lens for a minute before we move on, please? This fast portrait lens is probably one of the best things I bought with my hard earned money that I can attach to a camera. Everyone keeps raving about the Olympus 45mm f1.8, but this Panasonic equivalent offers just as sharp, if not sharper photos in my opinion, and image stabilization—important for people like me who shoots with a non-stabilized GM5. Granted, it's a bit more expensive than the Olympus, but it's totally worth it if you buy it when it goes on sale, like I did. More importantly to the subject of macros, this lens focuses as close as 31cm. Still not real macro range, but it comes in more than handy in a pinch, or when you can't justify spending on a dedicated lens when you shoot macro twice a year (on a good year). There's nothing much to add in terms of how well this lens performs when shooting portraits, it's that good. 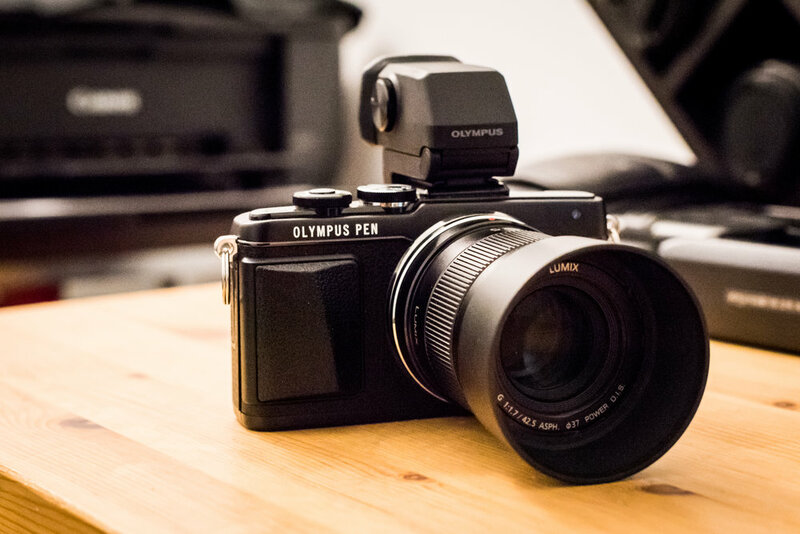 If you were debating between this guy and the Olympus 45mm, I wouldn't doubt for a second and get this totally underrated Panasonic gem. I've been buying/selling/trading a lot of gear in the last five years, more than I'm willing to admit, and this is one lens I don't intend to part with anytime soon.